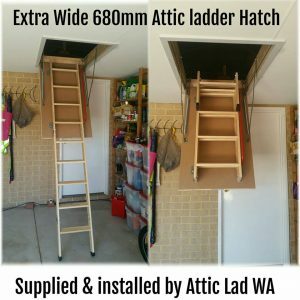 Installing a pull down ladder in Perth has really got easier, with Attic lad WA’s attic ladder and attic storage installation service . 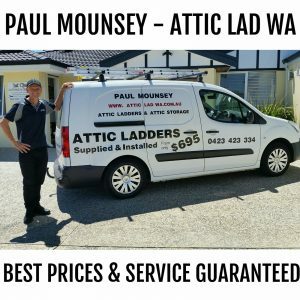 One of my recent projects was to install a pull down ladder for a customer in Tapping north of Perth. 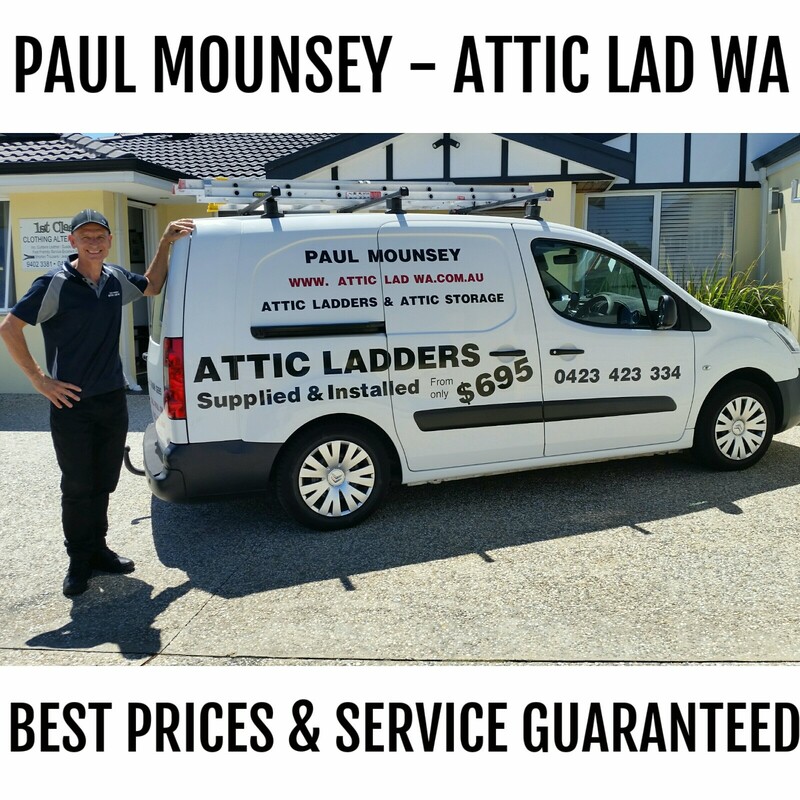 This was a great working day for me when I received a call from Rob to install a pull down ladder to his home. As I got to meet a fellow country man from the north of England ! . On Robs install I used an extra wide pull down ladder hatch which was installed into his garage. On completion of the install Rob was very happy with the service I provided. He left me a fantastic review on my Facebook page which you can read below. At Attic Lad WA, my prices are very affordable. My pull down ladder installation prices start from only $695.00. 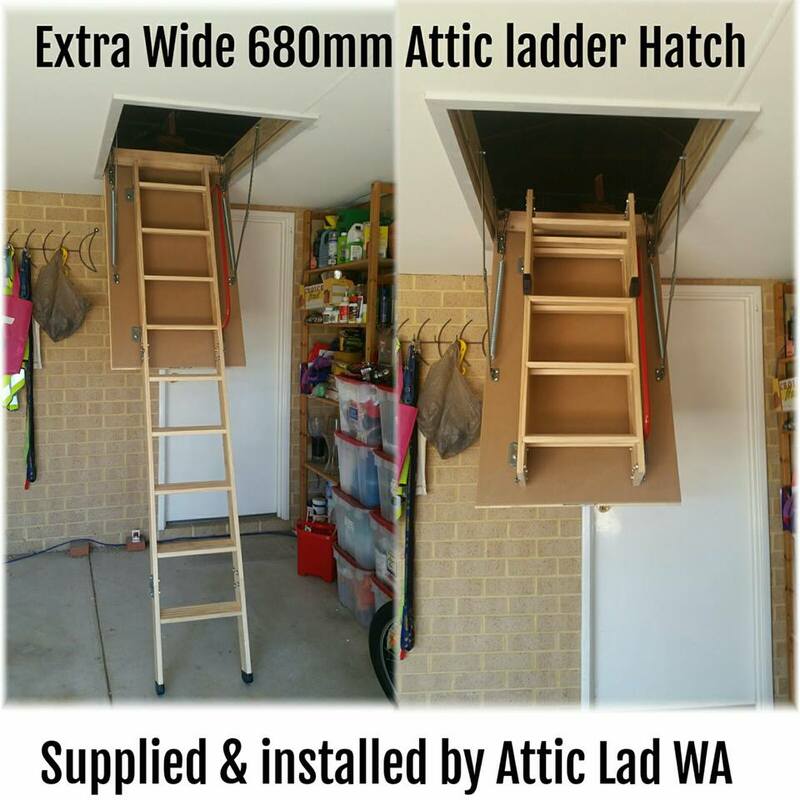 Attic ladder and 12sq meters of Attic storage start from only $1600.